Welcome to Bishopsteignton, south Devon. Bishopsteignton is situated on the hillside to the north of the beautiful Teign Estuary, between the towns of Teignmouth and Newton Abbot. 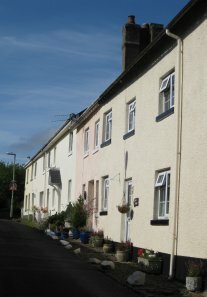 The Bishopsteignton Village Website provides information about our village to visitors to this beautiful part of south Devon. Local news, facilities and what's on in the village. Take a look for yourself and come to visit us!